Cord Prinzhorn, the chief executive officer of an Austrian packaging company, is European new money. But his latest investment is classic Old World, Old Money: a forest owned for more than a century by the Rothschild family, roughly the size of Manhattan. 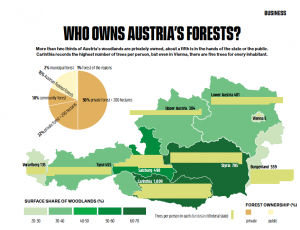 Forests in Austria for centuries have been owned by the oldest of old money, noble families such as the Habsburgs or Liechtensteins, the Roman Catholic Church and the government. Now, better-known buyers who have made their fortunes in recent decades are buying in. Besides Prinzhorn, people who now own tracts of forests and hunting estates include Red Bull co-founder Dietrich Mateschitz, Porsche Chairman Wolfgang Porsche and Gaston Glock, maker of the eponymous gun. Parcels of land like these rarely come to market – maybe once a decade. And you have to be more than just rich to have a shot at buying them. All sales have to be approved by local district authorities, effectively creating a way to keep out wealthy Gulf royals or tycoons from Ukraine or Russia. Buyers must prove they will keep the grounds open to the public and run a sustainable business that keeps the forest and game populations – deer, pheasants, hares and boars – healthy. 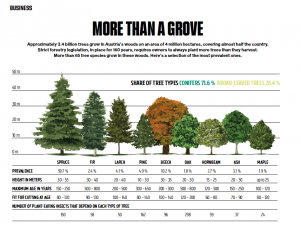 Forests aren’t the easiest asset to track, but several of the few, specialized brokers say land values have doubled in many areas in the past 10 years as wealthy investors look for places to park cash. One perk: You have a perfect place for hunting trips with your buddies or family. Prices had been around 70 cents a square meter for “almost decades,” according to Fridolin Angerer, a specialist broker at Spiegelfeld, an agency in Vienna. “After Lehman, they started to rise to about €1, and now we are at around €2” per square meter, he said. 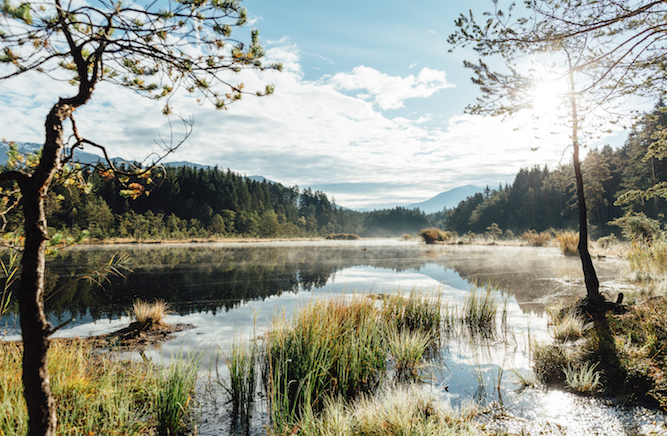 Under normal market conditions, the annual return is about what you might expect from highly rated, safe government bonds: about 1 percent, said Georg Schöppl, who manages 10 percent of Austria’s land – valued at €24 billion – on behalf of the government. There’s also an expectation to contribute to the local community. Heinrich Bubna-Litic spends almost every weekend at his 260-hectare (640-acre) estate. The retired state prosecutor is the descendant of a noble family that can trace its roots to the 14th century. Once a year, on a Saturday in December, Bubna-Litic invites locals, customers, truck drivers and rangers to celebrate the year with local Gösser beer or red wine from Burgenland. “There’s lots of Schnitzel, there’s game, there’s fish and there’s always a reason to celebrate,” he said. While Prinzhorn and Bubna-Litic prefer standard hunting equipment that starts at a few thousand euros, some hunters end up at gunmaker Joh. Springer’s Erben shop in central Vienna. There, they can sit for a sip of whiskey or gin at a wood-paneled bar and listen to Radio Swiss Jazz. The company was founded in 1836 and still supplies members of the Habsburg family. These days, they make custom rifles, engraving deer motifs, initials or family coats of arms. Some customers – often from Russia or the Middle East – spend up to €300,000 for a handmade set of rifles, along with precision optical gear, waiting as long as a year. A hunt hosted by an estate owner may start with a handmade invitation from Huber & Lerner printers in Vienna. Invitations go out at least six months in advance. Hunting weekends can be a networking opportunity, but if you aren’t really into it, you’ll end up “just sitting out there in the cold,” said Josef Pröll, who was Austria’s finance minister during the financial crisis. Pröll, now an executive at mill company LLI in Vienna, sometimes leaves his 12th-floor office in a skyscraper near St. Stephen’s Cathedral in the late afternoon during hunting season. It’s a one-hour drive to a hunting ground in the Lower Austria region. After an evening stalk, a dinner and a morning stalk, he’s back in the office by 8:00 am the next day. When owners want to sell a forest, they don’t exactly post an ad online. They don’t advertise in newspapers. The market is word-of-mouth, with tips passed along privately in homes, during hunts or in law offices. Real-estate broker Klaus Bischof spent five years keeping tabs on the Rothschild estate, staying in touch with the family’s head forester. Finally, about a year ago, he got word that the family was ready to hire a broker. He received informal bids from nine interested parties, including entrepreneurs from France, Germany and Switzerland, and Prinzhorn ultimately won. The buyer’s identity became public earlier this year, after government approval went through. Baron Albert von Rothschild purchased the property in 1875, when the founding generation of the banking dynasty led a flourishing operation in the Habsburg Empire. The Austrian arm of the Rothschild family employed hundreds of people on the land and built stately mansions and lodges. The main hunting lodge was mostly used by the baron for two weeks every September, according to his great granddaughter, Nancy Hoguet, who wrote about her family’s lands last year in Architectural Digest. During World War II, Nazis occupied the land. When the war ended in 1945, the British and Russians took over before giving it back to Hoguet’s grandmother, Clarice de Rothschild, in 1948. Hoguet and her brother inherited control of the land after the death of their mother in 1972. “We spent the holiday with our cousins amid tens of thousands of acres of dense, dark-green private forest, a Grimms’ fairy tale landscape teeming with bears, red deer, foxes, chamois and wild boars,” she wrote. Hoguet didn’t respond to requests for comment. Prinzhorn’s own family business started with a small paper mill in Pitten, about an hour south of Vienna, in 1853. His father built the company into a European player after taking over in the 1970s. Prinzhorn became CEO in 2013, and Prinzhorn Holding now reports annual sales of €1.4 billion across packaging and recycling businesses. Prinzhorn said he sees the forest as a long-term source of raw material for his companies, but he also wants to preserve the historic buildings and tend the forests for animals and for people hiking, fishing or just enjoying the outdoors. He’s also investing in renewable energy from hydropower plants on the land.